A close up of Ferris' beast taken from the Great Observation Wheel . the Fair but still impressively large. where he graduated in 1881 with a degree in engineering. Ferris Ferris claimed that he developed he concept for the Ferris wheel while at a dinner in Chicago. 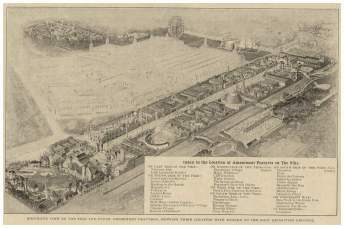 With massive steel "forks" which held a 46 1/2 foot long, 70 ton axle (the largest piece of steel ever forged in the united States), the huge Observation. The Wheel was 264 feet high. It carried 36 wooden passenger cars each holding a security attendant, incidentally the chairs could swivel. Each car could fit 60 people standing or 40 sitting people. Two 1,000 horsepower steam engines powered the 4,200 ton monstrosity and an oversized air brake was used for stopping. Three people died building the great Observation Wheel. Ferris' one-of-a-kind design was able to carry five times the 1,200 ton capacity limit. 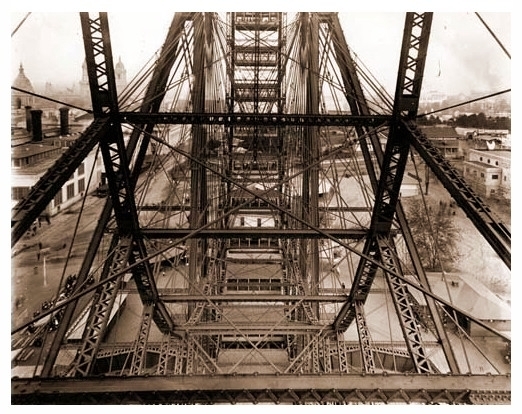 In 80 miles an hour winds, the sway of the colossal wheel was less than half an inch. The wheel was run by a double reversing engine with cylinders 30x48 in., capable of developing 2,000 horse power. The power is applied through a series of cogs to a sprocket chain which engages wide cogs on the outside of each rim. but he made little profit. Ferris desired to build and sell bigger and better wheels, but demand was sporadic. After his wife left him in 1896, Ferris suffered from depression. 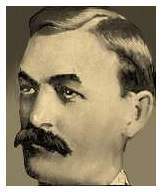 He died alone on Nov. 21, 1896, alone and bankrupt at the age of 37, in Pittsburgh's Mercy Hospital. Ferris never saw his masterpiece creation rise again in St. Louis. 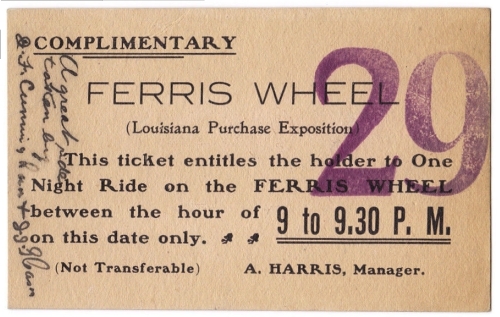 Ferris never sought or received a patent for his marvelous wheel-invention. a cost of 150,000 dollars. 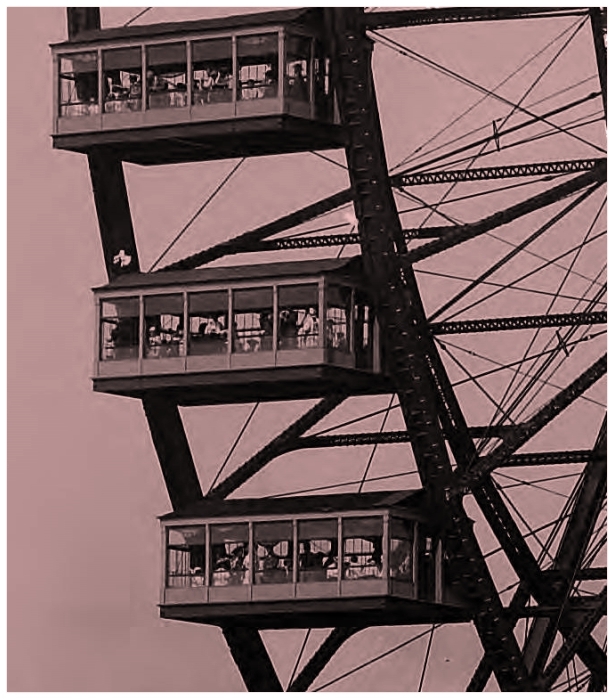 Fair goers in St. Louis could load the giant Observation Wheel with up to 2,160 persons, as it made its four revolutions per hour. Three million people were carried without injury. The ride gave visitors a look at the Fair that rivaled a bird's view. They could plan their route to other attractions and scout out their day's attraction better than using a map. 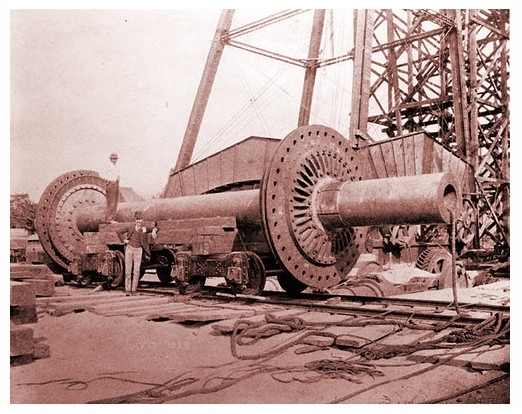 The wheel recouped its relocation coats in only four months of operation. 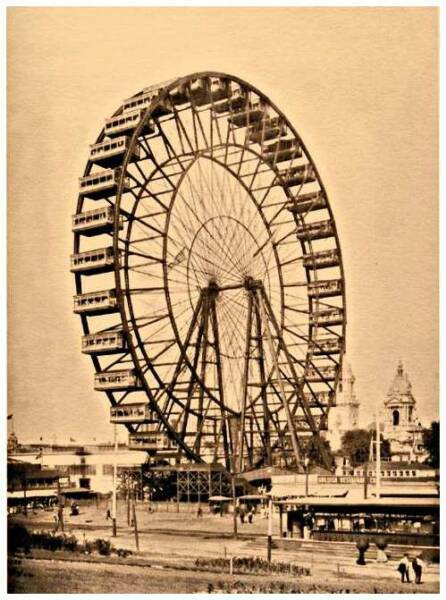 On July 12 1904, Maud Nicholson, a dare-devil made one entire revolution of the huge Observation Wheel standing on top of one of the cars. 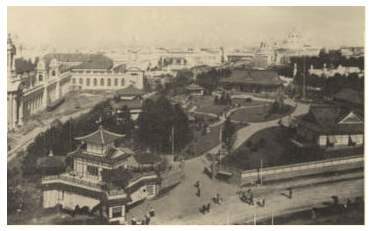 There were 50 marriage ceremonies on the great wheel, in fact it became so popular (one couple was married on horseback in one of the car, while another pairing was married on top of one of the cars), that a special car, complete with a piano was designated for the Observation Wheel ceremonies. Chicago Wrecking Company or buried near Skinker Avenue in Forest Park. The axle's fate remains a mystery. couple was married on horseback in one of the car, while another pairing was married on top of one of the cars), that a special car, complete with a piano was designated for the Observation Wheel ceremonies. masterpiece would be toppled and sold for scrap. Their profit- 1,800 dollars. 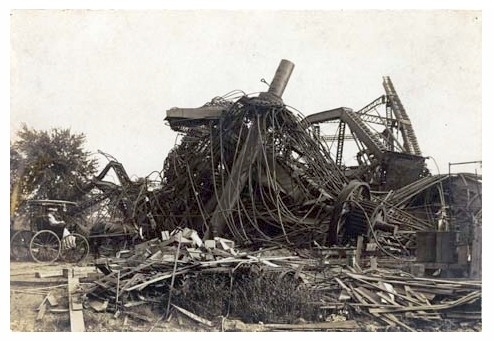 100 pounds of dynamite was need to do the job and collapse the monstrosity into a 90 foot-wide mass of wreckage.